ON THE YARD: With Mr. Warren Shaw And The CAU Spring Band Brawl – Block Us Up! On The Yard is a collection of articles that highlight the exciting, but sometimes unknown, activities & events that occur on college campuses across the nation. This series of articles help educate the world about all the band or music related goodness that’s happening on today’s college campuses. Contact us to highlight your band’s campus activities! This week we are featuring a story from what some describe as the band capitol of the south… Atlanta, Georgia. Atlanta is home to many of America’s great traditional band programs like MLK High School, Stephenson High School, and South West Dekalb High School whose band director, Mr. James Seda, was just inducted into the prestegious American Bandmasters Association! It is also home to The Clark Atlanta University Mighty Marching Panthers, under the direction of Mrs. Tomisha Brock. For almost a decade, CAU has been the host for a dynamic event for traditional band programs and we are highlighting that event in this edition of On The Yard. We recently sat down with Mr. Warren Shaw, Assistant Band Director/Arranger and creator of the Spring Band Brawl event, to discuss Band Brawl and other CAU events and campaigns. Block US Up! – Hello Mr. Shaw, welcome to Block Us Up! We’ve known each other for quite some time but, for the sake of all our readers out there, could you share with us a little about your educational, and professional, background and how all that prepared you for your current role as Assistant Band Director and Chief Arranger for Clark Atlanta University? Warren Shaw – I am a graduate of Alabama State University, Class of 1997. I participated in the jazz, symphonic and pep bands and marched trombone for five years, the last two as section leader (1995-1996, 1996-1997). After graduation, I worked with Mr. Charles Johnson and the Glenn Hills HS “Fantastic Marching Blue” in Augusta, GA as their assistant director of bands in the fall of 1997. After moving to Atlanta in 1998, I was doing some freelance arrangements for Washington HS when I ran into Cedric Young at the Salute to America Parade. Mr. Young was working with the Precision Summer Band Camp, and he told me that he just got the job as director of bands at Clark Atlanta University starting in August of 1998. I asked him can I bring a couple of my arrangements up there. Almost 20 years later, I’m still there. LOL I learned a lot from sessions with Isaac Bell, Ralph Chapman and Lindsey Sarjeant over the years to help improve my arranging skills. Block US Up! – What a story! I would love to interview you as apart of our Scoring and Arranging segment in the near future. As the Asst. Band Director at CAU, you have spearheaded a number of very successful events and campaigns over the years. The “Spring Band Brawl” is one of them. Could you give us some insight into exactly what the event is, what is its purpose, and how it came about? Warren Shaw – I was a frequent attendee of the Metro Atlanta Spring “JAM”boree and the original Clayton County Jamboree as a recruiter and a spectator. I approached Mr. James Camp, director of bands at CAU in the fall of 2009, about hosting a battle of the bands in the spring of 2010 for recruitment and fundraising. So the idea of the “Spring Band Brawl” was born. The first event was held at Epps Gymnasium, because there was a torrential downpour the day of the event. There were six bands involved: Greenville HS from GA, Meadowcreek HS from GA, Carver HS from Winston-Salem, NC, Hallandale HS from Hallandale, FL, Warren Co. HS from Warrenton, GA and Osborne HS from GA.
Block US Up! – How many bands attend Band Brawl on average? What are the costs associated with attendance (ie. registration fees, etc.)? Block US Up! – How do band directors and potential attendees get in contact with your organization about Band Brawl? Warren Shaw – Please visit our site. We still have 3-4 slots open for bands that would like to participate. Registration ends on Friday, March 23rd at 5:00 PM or when we reach our 12 participating bands. Block US Up! – Are there any other events currently planned or in the works? 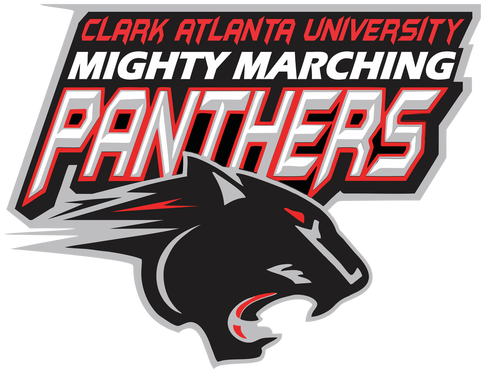 If so, how might supporters and fans of Clark Atlanta University Mighty Marching Panthers donate or get involved? Warren Shaw – We are bringing back our High School Summer Band Camp June 18-23. The camp is for instrumentalists (brass/woodwind/percussion), auxiliary and drum majors. Students and directors can sign up here. Donations can be done online here. Be sure to select “Mighty Marching Panther Band” when giving your donation. Thanks! Block US Up! – Mr Shaw it has been an honor having you interview with us. It is my hope that our “On The Yard” series of articles will help educate the world about all the good that’s happening on college campuses while highlighting the good people like yourself, and Mrs. Tomisha Brock, Dir of Bands at CAU, who help to keep the HBCU Band Culture thriving and marching in the right direction. You’ve contributed to this effort in a great way and I thank you for your time and, more importantly, your contribution to music education. Is there anything else you’d like to add? Warren Shaw – Continue to support the youth that participate in the performing arts. The support that we give those students affects every level, from elementary to middle to high to college and professional. The lessons that you learn in band and music are life lessons that you will take with you forever. Mr. Warren Shaw is a 1997 graduate of the Alabama State University. His arrangements are played across a wide spectrum of great college bands like The Florida State University Marching Chiefs and many high school bands across the nation. Next Post: 2019 HONDA ON HIATUS: The Popular Event Takes A Break… Or Is This The End?